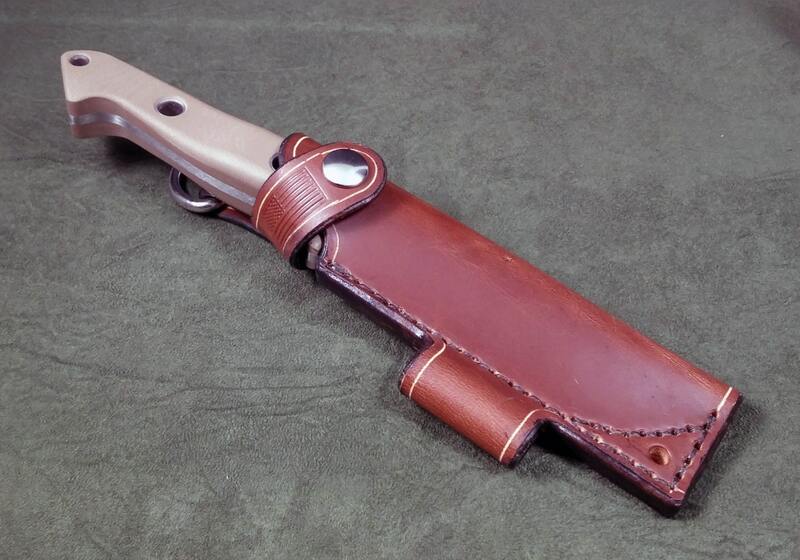 This is a handmade leather sheath for the Benchmade 162 and 162-1 Bushcrafter series knives. 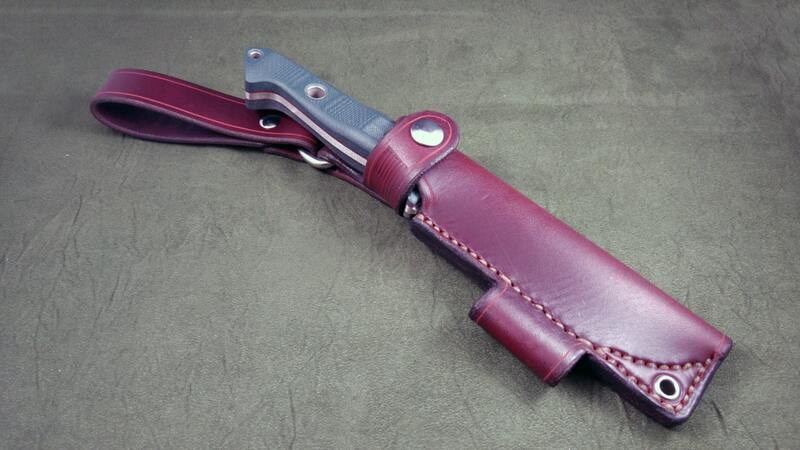 This sheath is an improvement over the thin leather and kydex sheath that comes stock from benchmade. 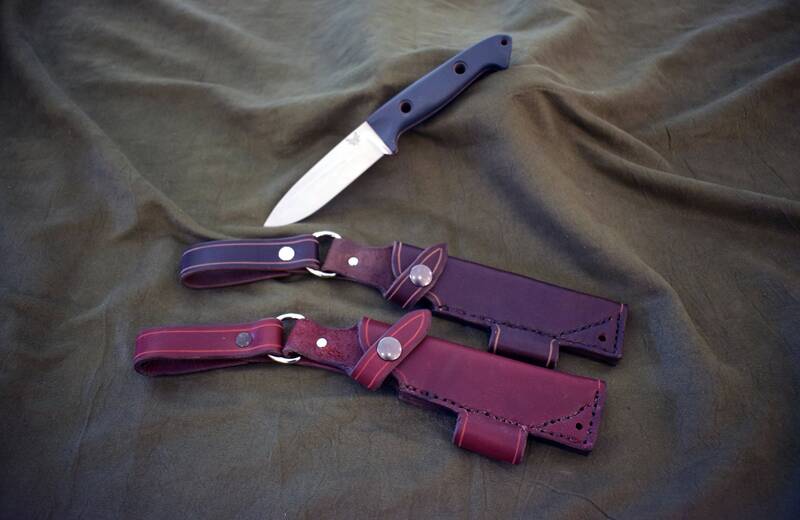 It is made out of 8-10 ounce latigo cowhide, and features a 1" welded steel D ring and snap closure. 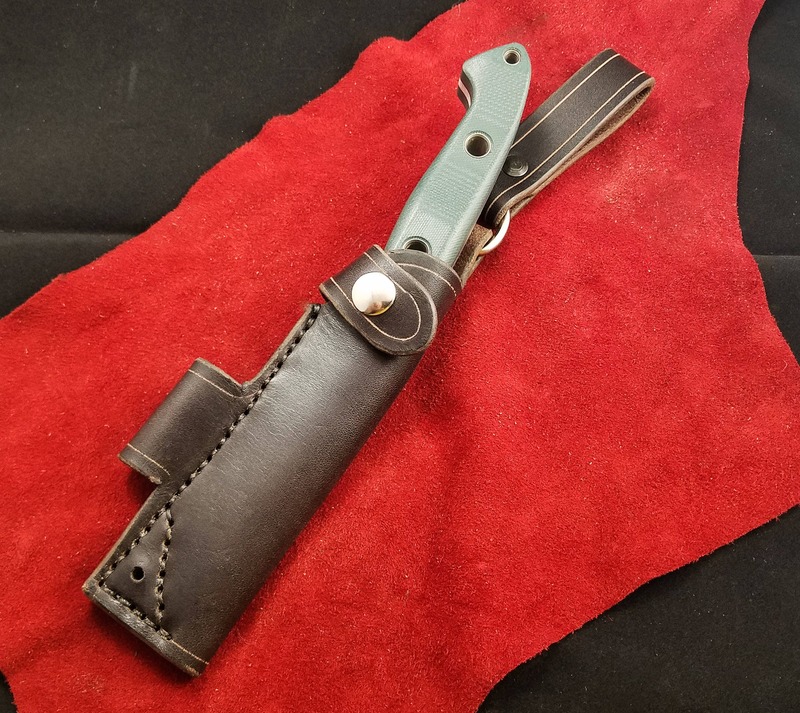 The sheath has an integrated loop for a fire steel, and hole to attach a lanyard. 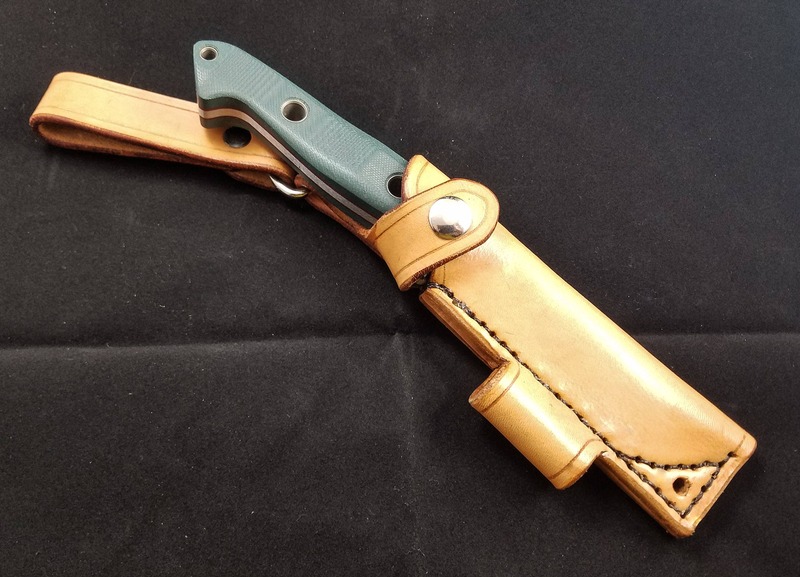 The design is essentially the same as the stock sheath from Benchmade, but mine is made of a sturdier leather, and can be ordered with a removable dangling loop to attach to the D ring. 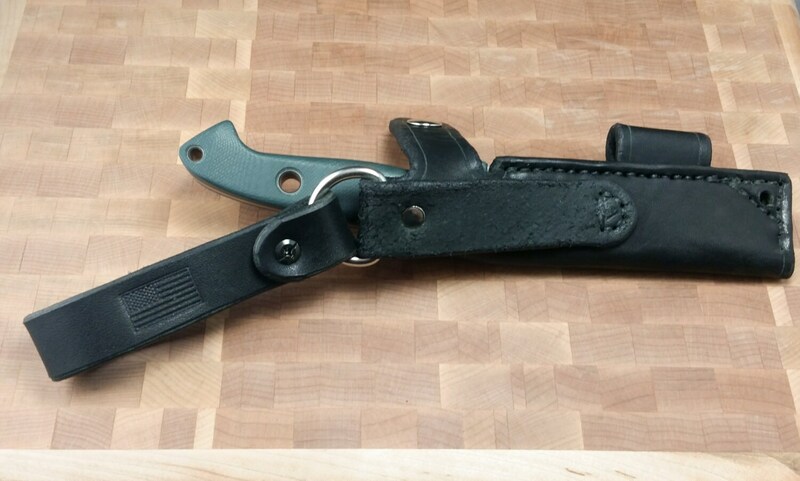 The lanyard hole at the bottom does not typically come with a grommet installed, as the surrounding area is stitched, as shown in my photos, I can install one if you like, let me know when ordering, and I will add one for you. Fast delivery and good quality. 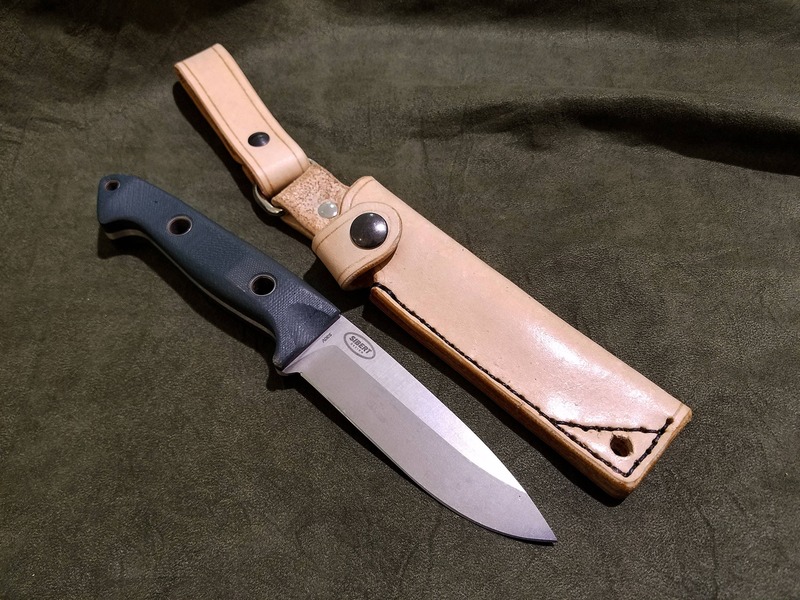 Fits the knife perfectly. The finish is utilitarian. Well made. Should last many years.